Family Dollar 2015 Holiday - Phoenix Creative Co. The holidays. They’re all about family and friends gathering around good food. 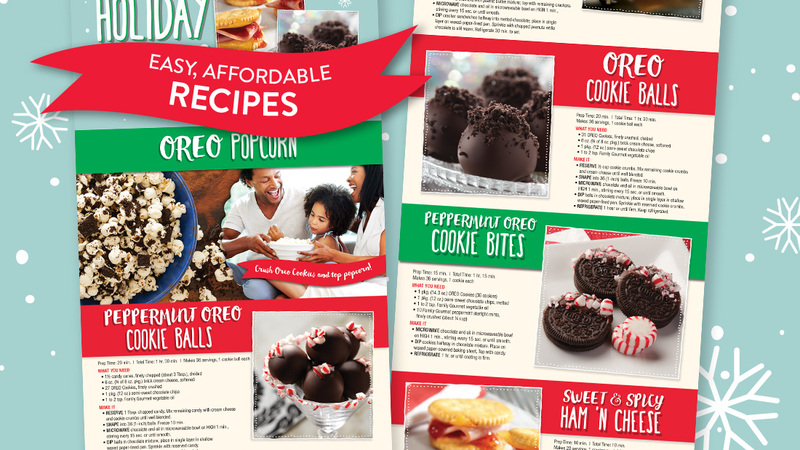 Family Dollar wanted to make the holidays even more enjoyable for their passionate shoppers by giving them recipes with all ingredients found at Family Dollar. 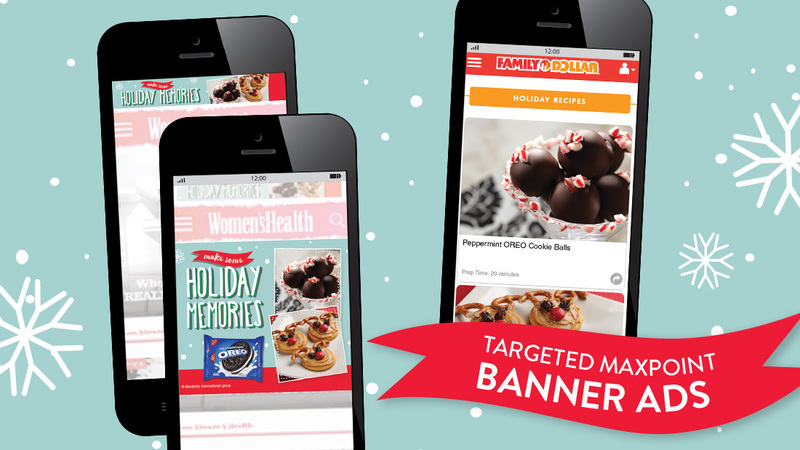 We used social media and banner ads on FamilyDollar.com to drive traffic to stores. Once in store there was a display and recipe cards showcasing 10 different recipes featuring OREO Cookies and RITZ Crackers showing shoppers what to buy–right at their local Family Dollar.